Ballets Russes: Col. W de Basil’s Balles Russes. 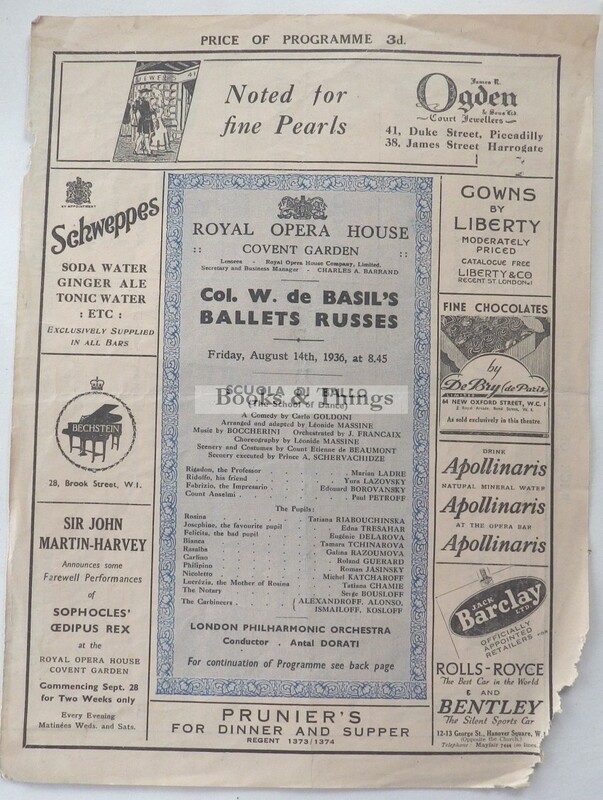 Royal Opera House August 14th 1936. folded sheet, 250 x190mm. Lower corner nibbled. Category: Programmes. Tag: Ballets Russes programme.